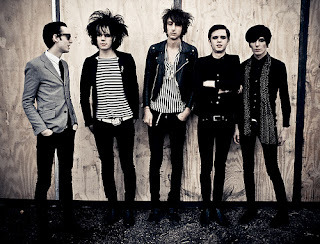 Last Friday I scored an interview with Rhys Webb of The Horrors. We talked about the band, the tour, and of course, their new album, Skying. Inland Empire Weekly (www.ieweekly.com) will be publishing the interview, and I shall post a copy of it here when it's available. Since I am a cheap hack you will probably not believe me when I tell you that their new album is glorious. Although it is decisively modern, listening to it reminded me of all the things I loved about Generation X music, from Love and Rockets, The Jesus and Mary Chain, Joy Division, Radiohead...it's all there with Skying, plus a serious Keane vibe, especially since both bands make great use of keyboards. Rhys Webb was a very cool person to talk to. I'm always amazed at how friendly these artists can be when I interview them, considering how their music entertains millions of people across the planet. 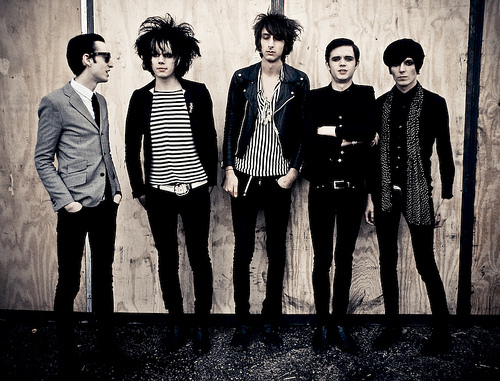 The Horrors are so damn cool they are even allowing people to stream their album online for free, so here it is: http://thehorrors.co.uk/widget/skyingstream.swf. Meanwhile, here's a favorite track of mine. The cinematography in the video is excellent, as well.